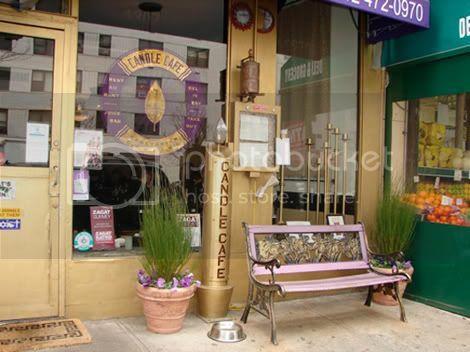 NYC’s Candle Cafe hasn’t been reviewed for The List yet, but when it does, it will be a True Winner—a shining example of everything that pure vegetarian food should be. In addition to the incredibly delicious cuisine (your preconceived notions of ‘vegan’ will go out the window), Candle Cafe and its slightly more upscale sister restaurant, Candle 79, are promoting health, sustainability, eco-friendly practices, local farming, seasonal ingredients, and compassion for animals. Why does Candle Cafe omit animal products from its dishes? By supporting organic farming and avoiding animal products, we acknowledge the interconnectedness of environmental, spiritual and physical well-being. And with food that tastes so wonderful, I’m not sure how anyone could argue. 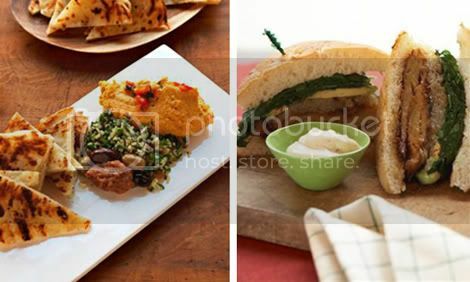 To find out more about Candle Cafe, visit www.candlecafe.com or visit in person at 1307 3rd Avenue between 74th and 75th St.
Pictured clockwise from top: Outside Candle Cafe; Cajun Seitan Sandwich; Mezze Plate. Photos: Courtesy of Candle Cafe.